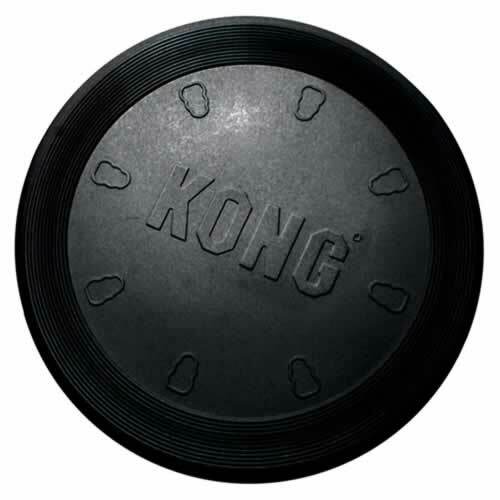 KONG’s Extreme Flyer is made from ultra-durable, black “Extreme” rubber formula and stands up to the rigorous demands of even the most enthusiastic dog. This soft, flexible disc (frisbee) flies great and can be rolled or folded for easy portability. The soft rubber is extremely safe for teeth and gums, yet durable enough to carry the “Extreme KONG” name.